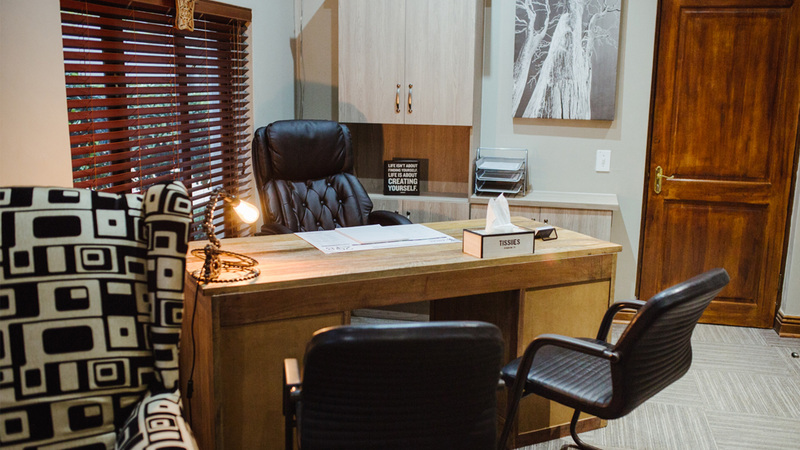 Welcome to ZwavelStream Clinic, where we strive to provide our patients with a mixed therapeutic model of psychiatric care so that they can discover a renewed sense of wellness that extends beyond mental health. Mental illness is very often met with fear and misunderstanding, but it is something that touches us all. We aim to break down the stigma surrounding mental illness by equipping patients as well as their families and friends with education, information, and world-class skills and tools that will help them lead productive and fulfilling lives. Our multi-disciplinary network is based on- site, and provides the support and treatments needed to aid in recovery. With experienced specialists dedicated to the different streams of mental health, we address mental illness holistically and without judgement. Please scroll down to find more information regarding visiting hours, security, meals & refreshments, smoking, alcohol & drugs policies, disability services, fees & tariffs and confidentiality. Please acknowledge that our patient’s privacy and confidentiality is of the utmost importance and visitors are requested to treat all and other patients with dignity and respect. No visitors may enter wards, patient rooms or designated therapy rooms. Visitors are required to sign is at reception and to arrange with the patient prior to their visit. Should there be a need to adjust these visiting times, example - visitors from afar, small children at home etc, special permission must obtained from the treating psychiatrist. No day passes will be issued unless in the case of an emergency and approved by the treating psychiatrist. Visitors will be asked to declare what they are bringing into the clinic. Children under the age of 6 yrs must visit in the coffee shop and designated garden area. A security company has been appointed to assist with all patients and visitors safety at ZwavelStream Clinic. The property is monitored 24h and is linked to an armed response. There are adequate and safe parking for patients, visitors and health professionals. ZwavelStream Clinic will not be held responsible for any damage, loss or theft. Currently, the highlight of patients and staff a like’s day. The in-house catering team are committed to providing fresh, nutritional and delicious meals. Special diets will be available as per prescription of a dietician. Kosher and Halaal meals are available with prior arrangements and at an additional cost. These costs will be payable upfront. Smoking is not permitted in the clinic and other buildings as it is against the law and the facility is equipped with smoke detectors. However, designated smoking areas are available for those who wish to smoke. Please adhere to our rules and regulations in this regard. The same rules apply to e-cigarettes and vaping. Note: Smoking is harmful to your health and the health of others in your surroundings. This Clinic has a zero policy towards drugs and alcohol on the premises. The SAPS conducts random drug searches with sniffer dogs to assist the hospital in this regard. A base line test will be done on all patients on admission. Should the test be positive the matter will be dealt with according to the hospital’s policy. Laundry services are available weekly on an outsourced basis. Appointments can be made for manicures. We have free Wi-Fi hotspots available. ZwavelStream Clinic’s fees are in accordance with NHN contracted tariffs. Your hospital stay and clinical costs are covered by most Medical Aids for a period of 21 days per year. It is in the Patient’s best interest to be properly informed about their cover before admission. Please familiarise yourself with your medical aid’s/scheme's benefits, available funds or the length of stay your medical aid will fund before admission. As per legislation, we respect the patient right to dignity and privacy. No information regarding a patient’s admission, diagnosis, treatment or progress will be made available to a third party. Should there be a need for information, family members are advised to contact the treating psychiatrist. Don't have a Professional Medical Referral? Don't worry, we can assist and advise. ZwavelStream Clinic's admission process is straightforward and seamless. However, being a specialist facility, we can’t accommodate “walk -in” patients. Should you or a family member feel the need to be admitted, please contact our reception 010 475 0150 or emergency number 066 255 8501. We have psychologists and psychiatrists on call daily who can assist. Your general practitioner or Hospital ER can also assist you with your referral. ZwavelStream Clinic's admission process is straightforward and seamless.